Forget what you think you know about high-cost and low-cost countries for manufacturing because there’s been a dramatic shakeup over the past decade. According to a report by Boston Consulting Group, the U.S. has shot up the ranks of competitiveness, while Brazil has foundered badly. 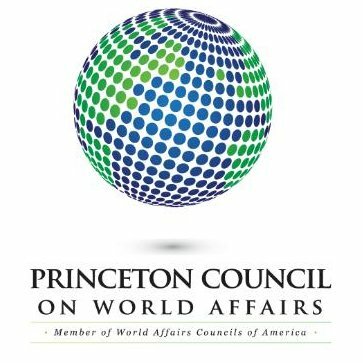 The report ranks the world’s 25 biggest exporters of manufactured goods in terms of direct costs of production—factoring in wages, productivity, and electricity and natural gas. Indonesia and India are the cheapest and next-cheapest in terms of those direct costs. But they have other problems such as poor infrastructure, says Justin Rose, a co-author of the report and partner at BCG. Brazil’s costs have gotten as high as those of Western Europe. Mexico, on the other hand, has made big productivity gains. The 10 biggest exporters account for about 70 percent of global manufactured exports–and are therefore destinations of choice for most companies locating new plants. China is still No. 1, though its lead has narrowed. The U.S. has moved into the No. 2 spot, followed by South Korea, the United Kingdom, Japan, the Netherlands, Germany, Italy, Belgium, and France. 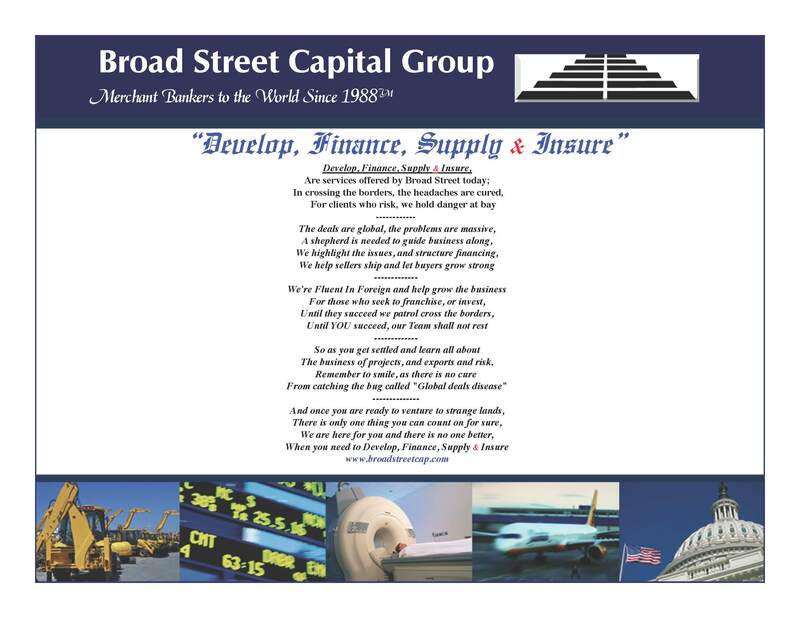 ExportBoost™ – a new service guaranteed to help small and mid-size companies to at least double their present exports in 18 months – is being unveiled today by the Broad Street Capital Group (“BSCG”) at the Annual Conference of the Export – Import Bank of the United States (“US Ex-Im Bank”). 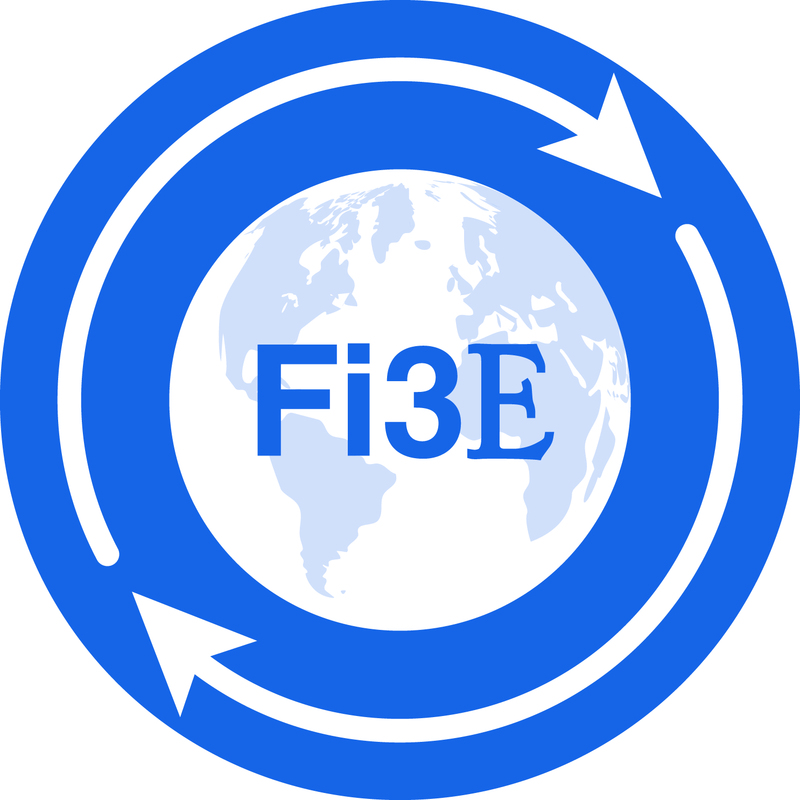 Specifically developed for US manufacturers and distributors with revenues of between $5 and $750 million and for providers of professional services , ExportBoost™ uses proprietary export building methodology and tools such as: Fi3E™ Export Indices, XPORTINSURE™, FinanceABLE™ and EZShip™ that were developed by BSCG’s subsidiaries Fluent In Foreign Academy™, AMEX Import Export and Broad Street Capital to greatly simplify export operations and mitigate international business risks. 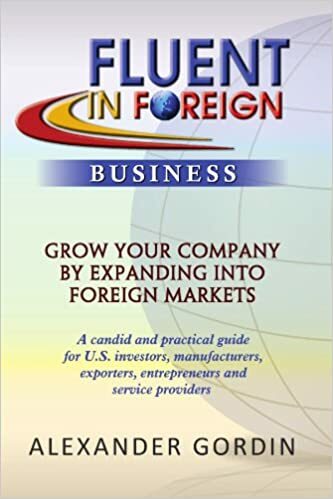 “There are enormous opportunities for companies both large and small, to sell goods and services overseas,” said Alexander Gordin, Managing Director of The Broad Street Capital Group and Author of the book Fluent In Foreign Business. ” Expanded exports represent amazing possibilities not only to help companies grow their profits and shareholder returns, but also to benefit our nation’s economy by creating new jobs and generating additional tax revenues. President Obama’s National Export Initiative has served as a catalyst to spur job growth and led to a resurgence of manufacturing activity. More needs to be done, and companies should focus on exports as a fundamental part of their business activities, rather than an afterthought. Thus ExportBoost™ was designed to help small and medium companies who are either experienced exporters, or just looking to start their international expansion to significantly grow their exports. ExportBoost™ service has two tiers – one where the exporter is guided by the Broad Street Capital’s professionals and implements the program internally and the second where Broad Street Capital Group implements ExportBoost™ on its client’s behalf. In either case, the clients will be offered a unique guarantee, should they follow the program and their exports do not at least double in 18 months, Broad Street Capital Group will refund all the fees paid by the clients for the ExportBoost™ service. ExportBoost™ is the first product of the very ambitious project being developed by the Broad Street Capital Group and its partners to greatly streamline international trading operations. The project codenamed “Barbell” is scheduled to be unveiled at the Broad Street’s annual conference later this year. 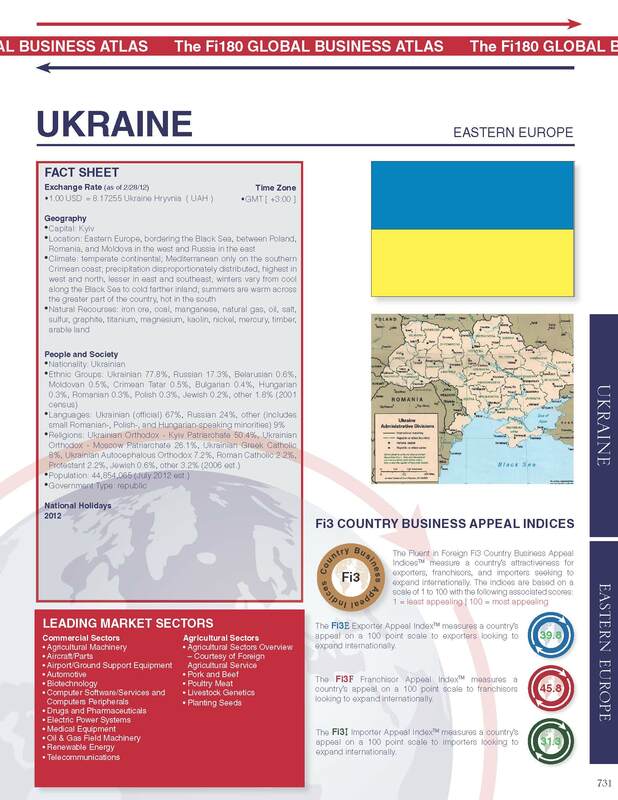 Is Ukraine a new Titanic? Today the American people learned an important lesson about bribery. It can happen all by itself. There’s even a name for this: immaculate corruption. And it works just like the old saw about guns. People don’t bribe, corporations do. This explains why Hewlett-Packard Co. is paying $108 million to resolve some overseas-bribery investigations by the Justice Department and the Securities and Exchange Commission, while no individuals are being accused of anything. Because no living, breathing people did anything wrong (or at least none whose names we know of). Only Hewlett-Packard did. Another important lesson our government taught us today is that Russia is corrupt. Who knew? So is Mexico. Poland, too. The U.S. has laws to prohibit companies from paying off government officials in other countries to win business. We can presume Hewlett-Packard reasoned that the bribes were necessary because its printers, computers and tech services were so inferior in quality that this was the only way it could sell them. And I sympathize completely. You could even make a semi-coherent argument that Hewlett-Packard had a duty to try to get away with breaking these laws for the sake of maximizing shareholder value. Back in 2000, when the first of the bribes was immaculately conceived, the Justice Department and SEC hardly ever enforced the Foreign Corrupt Practices Act. But then they started enforcing it again. So, practically speaking, it became illegal again to bribe corrupt government officials in Russia, Poland and Mexico. Hewlett-Packard found itself on the wrong side of the thin blue line. Truth be told, the company’s biggest mistake was not being a bank. Neither the Justice Department nor the SEC has ever used the Foreign Corrupt Practices Act against a bank. How bad was the conduct in this case? The bribes to the government officials in Poland helped Hewlett-Packard win a contract with the Polish national police agency. In Russia, they helped Hewlett-Packard retain a contract with the federal prosecutor’s office. That’s so bad it’s good. Like I always say, if you’re going to bribe anyone to get a government contract, you might as well get it with the cops. So now Hewlett-Packard is going through the usual drill of non-remorse. The company’s Russian subsidiary agreed to plead guilty to criminal charges in a federal court in California. Its Polish unit got a deferred-prosecution agreement. And its Mexican subsidiary got a non-prosecution agreement. So the Mexican subsidiary had better watch out, because if it gets caught breaking the law again then it might have to suffer the slightly more severe punishment of a deferred-prosecution deal, like its Polish cousin got. As for the people who did the bribing? Well, again, that’s the best part: There weren’t any. Because if there were, then the SEC and Justice Department surely would have filed some sort of claims against them. And this way, everyone is much happier. Hewlett-Packard pays its toll without anyone there getting in trouble with the law. The government lawyers get help with their case quotas. And Hewlett-Packard’s tall-building lawyers can claim to be heroes. To contact the writer of this article: Jonathan Weil at jweil6@bloomberg.net.